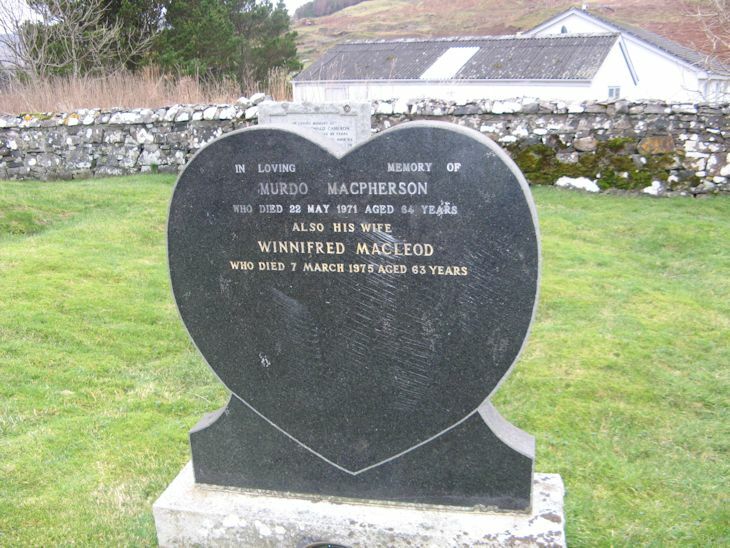 Skye Gravestones | Murdo & Winifred (Macleod) Macpherson. Murdo & Winifred (Macleod) Macpherson. In loving memory of/MURDO MACPHERSON/who died 22 May 1971 aged 64 years/also his wife/WINIFRED MACLEOD/who died 7 March 1975 aged 63 years.